When your vehicle experiences body damage, you want it fixed correctly and properly. You want to ensure that once your vehicle is repaired, it is as structurally sound as it was before the damage took place. And while it’s certainly imperative that your vehicle’s “bones” are solid, its post-repair outer appearance is equally as important. After all, a perfectly refinished exterior is not only aesthetically pleasing, but it also helps protect your vehicle from inclement weather and environmental conditions, as well as maximizes its value. That’s why it’s vital that you never cut corners when it comes to automotive refinishing. Blistering: a pitted, swollen, or bubbling appearance of the paint; often caused by painting over moisture or dirt or solvents that are trapped in the paint. Therefore, if you entrust your vehicle to an automotive refinishing facility that cuts corners in its work, you may see one or more of these problems on your vehicle in either the short-term or the long-term. 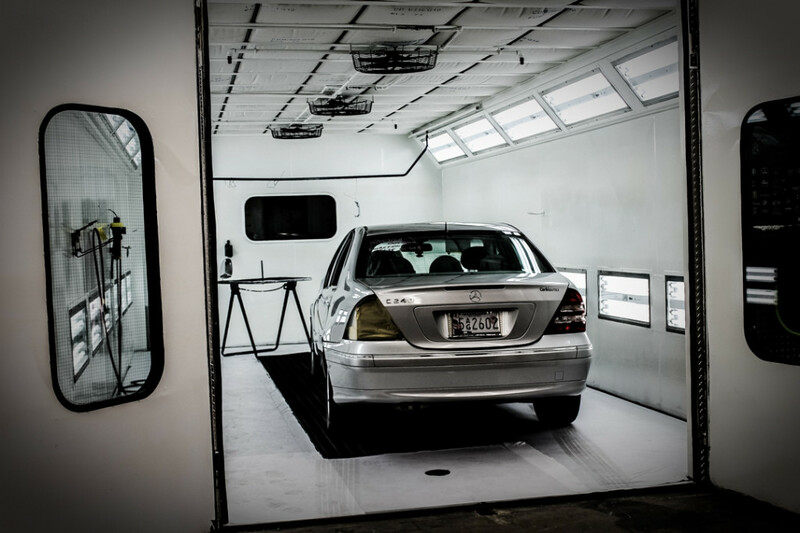 That’s why it’s vital that you find an establishment that adheres to the highest standards in all facets of the automotive refinishing process. 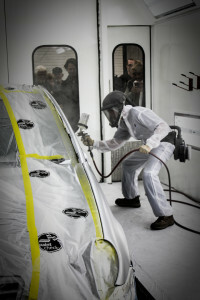 This all starts in the preparation process, which includes sanding, cleaning, priming, sealing, and masking. 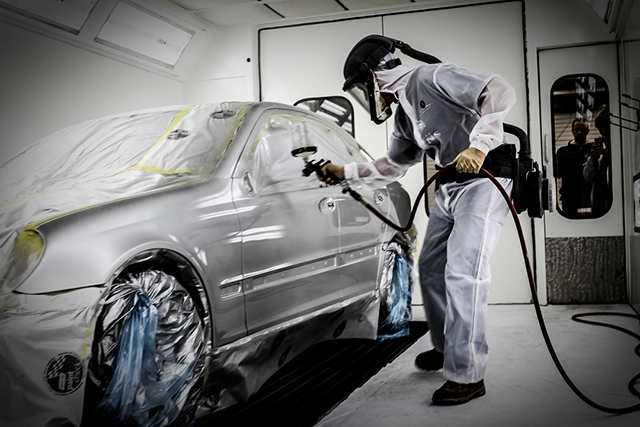 The painting process must meet strict quality standards and use paints and coatings that best match those applied at the automotive factories themselves. Finally, any imperfections in the paint must be removed by the necessary detailing, scratch refinement, machine polishing, compounding, sanding, and swirl elimination processes. You wouldn’t cut corners when you took your car in for engine or structural damage repair. So why settle for anything less when it comes to automotive refinishing?